One of the most difficult and important aspects of purchasing a home is finding the perfect location…one that will meet all of the financial, social and economic needs of the buyer. 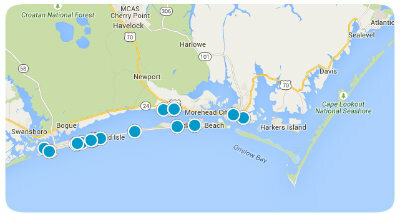 The eastern corridor of Highway 70 provides several options for prospective homeowners seeking to locate close to Cherry Point Marine Air Corps Station, the beach, shopping and/or historical landmarks. Several new developments have been established to facilitate the needs of the diversity of families electing to relocate to eastern North Carolina from all over the world and all walks of life. Croatan National Forest lands line the highways and waterways in Carteret County and the maturity of the trees and shrubs provide for a naturally beautiful backdrop for the latest housing developments in Carteret and Craven County. One of the most recently developed neighborhoods is located off of Highway 70 in Newport. Established in 2006, Gracelyn Park is an 84 lot subdivision for single family residences. Centrally located between Morehead City and Havelock, Gracelyn Park’s appeal is greatly increased because of the convenience the location provides to schools, shopping, dining, fishing and swimming in the waves of the Atlantic Ocean. Although Gracelyn Park does not currently have any community amenities, it is within walking distance to an 11 acre district park being developed next to the school. Plans for the park when completed will include six lighted tennis courts, a 5,000 square foot recreation center, youth soccer fields, basketball courts, playgrounds, a walking trail and ample parking. The completed facility will be lighted, fully landscaped and will have restrooms and a concession stand. Public services for the neighborhood consist of the Wildwood Fire Department and the Carteret County Sheriff’s Department. Utilities are provided by Progress Energy and Carteret County Water District. If you are looking for a great new neighborhood with fabulous, reasonably-priced homes located close to Cherry Point, the beach, shopping and dining, then Gracelyn Park is the PERFECT place to call home. 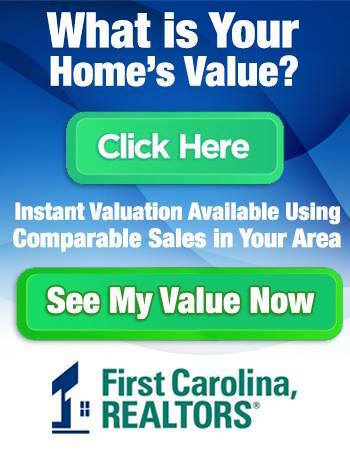 First Carolina, REALTORS®, have been actively marketing homes in the Newport area for more than 20 years. To see the full selection of properties currently available in Gracelyn Park, visit our website, www.havelock.com.